California is now one step closer to wiping away old cannabis convictions, after lawmakers in the state voted on a bill this week that would retroactively erase the charges. Although, if a person was convicted of a felony, they will only be able to get their charge dropped to a misdemeanor. Also, the legislation is still awaiting Gov. Jerry Brown’s signature to officially become law, but he is expected to sign off on the bill. The bill was introduced by Democratic Assemblyman Rob Bonta earlier this year and quickly passed through the house. Then on Wednesday, the bill passed the state’s senate with overwhelming support of 22-8. The text of the bill specifies that the state Department of Justice is to examine cases that took place between 1975 and 2016 to check for eligibility. It is estimated that there are nearly 220,000 cases which will either be eligible for a full expungement or a reduction from felony to misdemeanor. The vast majority of the state’s prosecutors have been dragging their feet on the matter, insisting that they do not have time to review the cases. Bakersfield Now reported that San Francisco County District Attorney George Gascon is one of a few prosecutors who took a special interest in reviewing these cases, and by himself, he found 3,000 misdemeanor convictions which were eligible for erasure and another 5,000 more felony cases eligible for reductions. “The voters are giving us, as elected officials and as public officials, a clear direction. They’re tired of the war on drugs, they do not believe that was the right path to follow, and now it’s up to us to ensure that we not only implement the letter of the law, but also the spirit of the law. We want to address the wrongs that were caused by the failures of the war on drugs for many years in this country, and begin to fix some of the harm that was done, not only to the entire nation but specifically to communities of color and many others,” Gascon said. The process will take no hearings, people will not have to hire attorneys, they will never have to come to our courts. Everything will be done proactively here, by the DA’s office,” Gascon added. Jeff Sheehy, a member of the San Francisco Board of Supervisors, applauded the district attorney’s office for removing a “significant barrier” that people had to go through to get their convictions expunged themselves. “By proactively doing this, I think you’ve taken a huge burden off of people who, frankly, were unjustly convicted and unjustly arrested,” Sheehy said. Similar measures are being passed all over the country, even on the east coast in places like New York. The legalization of cannabis does raise many interesting legal questions for those caught in the system who still face obstacles in their lives because of cannabis charges. 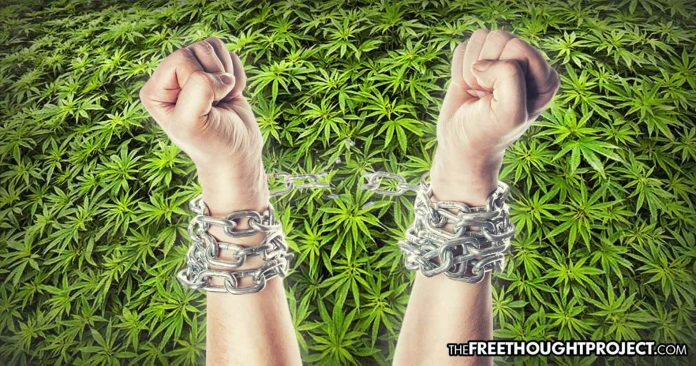 Even when cannabis laws change, if someone is behind bars for charges related to the plant, they are still considered a criminal and “lawbreaker” by the establishment, and it will require additional legal or legislative action to free them. Additionally, people with cannabis charges on their record may still face additional difficulty while getting a job. If the plant is legal then there is no reason for these people to suffer any longer, retroactively expunging these charges is the only humane option.